HomeBlogAdvice for WritersHow did I Become a Professional Essay Writer? How did I Become a Professional Essay Writer? 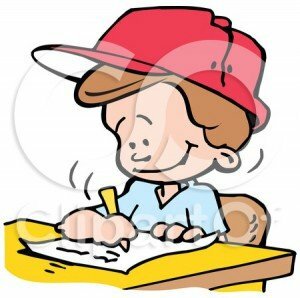 Becoming a professional paper writer, in most cases, is not something that a person would aim for from his childhood. And it is really not a very common job in today’s world. The reason for that is that this profession is not so popular nowadays; a lot of people wouldn’t think it really can bring much money and be of any use to others. And this is how I used to think. But now I realize how much I was mistaken. When I had to write my first essay while still in school, I was totally disappointed with this kind of studying activity. It seemed to be boring, useless and sometimes even kind of silly to write your thoughts on the paper for no reason. But while growing up I started to realize more and more positive sides of being a writer. By the end of the high school I started to get good grades for my papers and it made me a lot more interested in doing essays and other papers. When I started to study at college I had to find a job to pay for my studying. And it seemed to me quite a problem to fine a job that would not affect the studying process and at the same time bring enough money to satisfy my needs. After a little research and asking some of my friends for help, one of them recommended me to join a freelance writing agency. I decided to “give it a shot” and try working there. I never regretted my decision and now I am very thankful to John for giving me that piece of advice. This part time job became a break point in my life. Even though writing was far not my major, I found out that it is something I want to do for my living. So I continued working for the same writing assistance agency until I graduated and then decided to continue my studying to be able to write more in different disciplines. The writer is always self improving, he becomes a very intellectual and well-rounded person. The writer can make money remotely without spending to much time on organizing his work. The writer has a very flexible schedule of work which gives him a great opportunity to combine writing with his/her studying or primary job. The customer is offered a great service which can be of a big use if he has some problems with some course because of problems in personal life, focusing on more important aspects of his studying. The customer benefits by paying a fair price for a work of good quality done by specialists in particular fields. All the exchange of information between customers and writers is done online and guarantees confidentiality to both sides. So, at the moment I am a financially independent person of the age of 25. I can afford anything I need for living and I do not spend too much time working. I have a totally flexible schedule and do not need to worry about waking up early every day. I have a lot of time to spend with my friends and family, doing sports and other activities I like. At the same time I am constantly intellectually growing and more educated then an average person in any country. I love doing my job, helping people and thinking about opening my own business in nearest future. I am happy that I had an opportunity to start working as a writer and might even write a book some day now. Posted in Advice for Writers, Interesting Stories.